Last week I got the opportunity to attend Day 2 of the PPC Summit in Chicago. 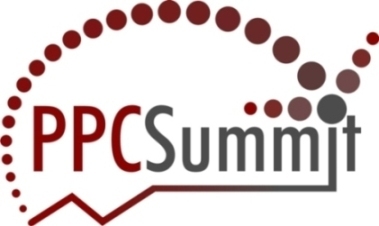 The PPC Summit brings together experts in the pay-per-click industry who cover a number of B2B and B2C search marketing topics. Topics include keyword targeting, ad copy strategy, landing page optimization, lead generation, ecommerce, third-party tools, social media, and analytics integration. My favorite session was the first one I went to – Expanding Advertising Coverage: Local Search Opportunities. The talk started off with the benefits of local search and quickly moved into Facebook advertising. Unlike many of the other sessions, this one evolved into more of a conversation than a talk; the audience started asking questions, which we tackled together as a group. Local targeting on Facebook is becoming better and better. Just recently, they opened up targeting at the major city/metropolitan level. Soon they will open up targeting at the zip code level – awesome! CPC bidding on Facebook can end up being very expensive, so it might make more sense to bid on a CPM basis – I’m still cautious about this one, but worth a shot. Facebook is not and will probably never be the best source for conversions/revenue, but it can do a lot for brand awareness. You might have better luck sending visitors to your fan page rather than your website, so they can continue to interact with the brand – this is especially useful if your fan page offers several interaction points. Some companies spend upwards of 100k on Facebook advertising each year – wow. Overall, this session turned out to be much better than I had expected. The speaker, Dennis Yu, was energetic and encouraged questions, which sparked audience involvement, leading to a well-rounded and very interesting discussion.